I absolutely adore Nicole Richie's dress she wore at the Byron & Tracey Salon party in Beverly Hills this past week. However, the clutch she accessorized with is so not cute. 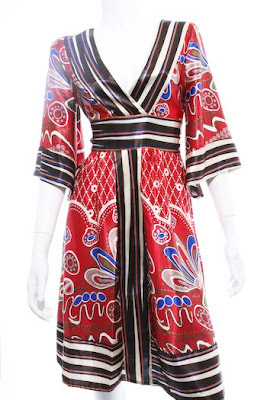 I'm pretty sure her dress is made by Issa, take a look at the one I found below. They're pretty similar. Issa's dresses are pretty steep so you know I had to find some more affordable options. 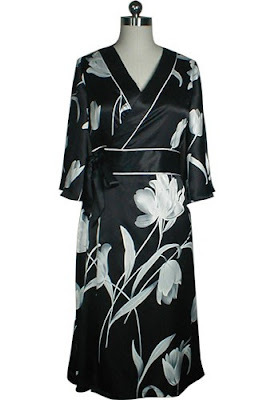 The kimono style is a classic and it's wrap design works pretty well for most shapes.